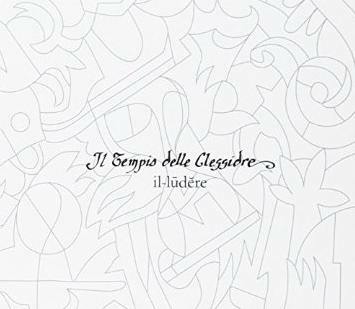 This is the third studio album from Italian rockers, Il Tempio Delle Clessidre, one of the few Italian bands who are deservedly gaining attention outside their home country, and now bolstered by Mattias Olssen on drums. The sound is more rocky, but the mood is also spirited and confident from the punning title to the less typical and playful tracks which bookend this collection, if you include the bonus track Gnaffe. The opening track, La Regole Di Gioco sets the exuberant mood and marks a welcome return of whimsy. A lecture on the use of stereo is backed by the required sonic effects to comic effect, sending up the current trend to introduce albums with a political or philosophical manifesto. There is, of course a manifesto here too, more subtly stated, to examine how deeper meaning can be derived through play. This amusing aside sweeps into the driving jazz-rock of La Parola Magica, and the more stadium friendly Come Nelle Favole, both of which put the band on the edge, showcasing Francesco Ciapica's bold epic vocals. It takes a band on top form not to get lost in the mix with such a voice, but there is no cause for concern as the band are certainly more than up to the task. In the central section, Prospettive is the stand out track, particularly showcasing Elisa Montaldo's superb keyboard playing alongside Giulio Canepa's sensitive and lyrical guitar. The longest track and another favourite La Spirale Di Vento drives us to a fittingly breathless finale. While Il-Ludere presents a heavier rock feel, it is never at the expense of musicianship. This is a beautifully crafted set which deserves a wide audience, particularly as I feel many of these pieces would benefit from a live setting. This is stirring stuff and well worthy of attention. I must finally congratulate Black Widow Records on amassing a collection of such fine artists from northern Italy. Rarely have I come across such a collection of consistently high quality all on one label, and I shall certainly look on this group as the home of some terrific music for the future.